Are you having problems with your laptop screen? Is your screen cracked, smashed or broken? For an easy fix, call or email Laptop Screen Replace Dubbo, or simply fill in our free quote form. 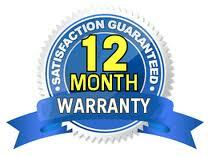 We offer affordable prices for any laptop screen replacement in Dubbo area. Just simply let us know your laptop brand and model number (this is generally found on the bottom of the laptop) when you contact us. In as little as 15 minutes you can have your laptop screen replaced on the spot at your home, office or school.